The number of visitors to the Book of Kells has increased by 50 per cent overall over the last four years. The Book of Kells today welcomed its one millionth visitor of 2018, marking the first time the exhibition has had a million visitors in a single year. The number of visitors to the book has increased by nine per cent so far in 2018, following a significant growth in visits to the book in 2017. There has been an overall increase of 50 per cent in visitor numbers over the last four years. The book’s increasing popularity has been credited in part to the visit of Prince Harry and Meghan Markle over the summer. The royal couple visited Trinity as part of their brief stay in Ireland. The millionth visitor was Cassie Clemens, a tourist from Oregon, US. Clemens is travelling in Ireland with her husband to celebrate the pair’s 20th wedding anniversary. American tourists make up the largest group of visitors to the book, with 36 per cent of visitors coming from the US. The second largest group is Irish visitors, constituting 12 per cent of visitors, while tourists from EU countries made up 27 per cent of visitors. “Funds generated by ticket sales go directly to supporting the University, including the maintenance of its historic campus and most importantly the overall academic mission of teaching and research”, Ruane said. “We are introducing the rotation of other important manuscripts from our collection to complement the Book of Kells and further enhance the exhibition as a major visitor experience in Dublin”, she said. 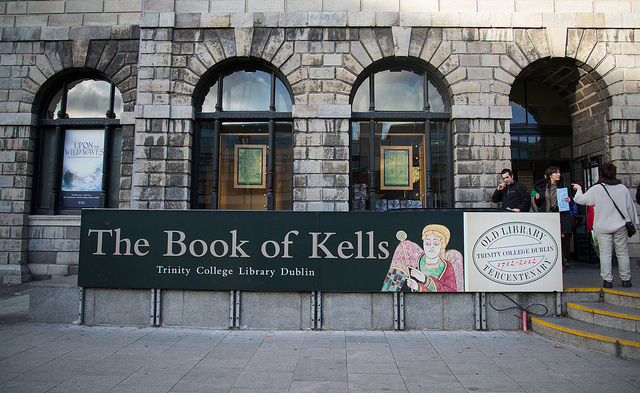 Housed in the Old Library, the Book of Kells has been on display since the 19th century. In September, the book was temporarily replaced with a replica due to “technical issues”.